Elephants and ants, big companies and startups. As a microisv, we often rely building our business through Google services (SEO,adwords..) but is it a good idea to just rely on Google? What are the options for a small guy to defend its business. The OP points out this New York Times story (“Stuck in Google’s Doghouse“) by Joe Nocera about an Internet entrepreneur by the name of Dan Savage, whose business based on Google was making $115,000 a month on $653,000 in gross revenue living in the space between Google Adwords and Google AdSense until one fine day Google put him out of business. Dashboards – good question, did you Google it? Seriously, this is an issue to some greater or lesser degree for every microISV/startup that decides to build a complementary product/service/site to some other existing company’s site or that uses another company’s API. It’s the same issue whether it’s Google, Microsoft, Apple (note recent iPhone App denials before you go off the deep end) or one of the those Web 2.0 companies we all know, use, and love. 1. Don’t pretend it isn’t so. Too often developers go Bambi-like and assume the existence of some sort of “right” where none exists. If your software/product/website depends on X – either their API or their passive or active cooperation – you’d better own up to that fact and have contingencies (including shutting down) mapped out, thought through and ready to go. You don’t argue with earthquakes – at least not more than once. 2. Are you a parasite or a symbiont? Put another way, what do they get out of the relationship and is it what they want? Some may say that the millions of dollars Dan Savage paid Google prove the value of the relationship; but Google’s is worth tens of billions and values relevancy more than a million here or there. Furthermore, anyone tracking Google instead of counting their money would have and should have known they were playing with Google fire. As Nocera put it, “So what is Google’s problem with Sourcetool? One likely possibility is that Google views Sourcetool as an example of a practice called ad arbitrage, which it frowns upon.” Doh! 3. Don’t assume they care. They don’t. They really, really don’t. All of the people who make up Google are wrapped up in the values, goals, politics, ambitions, initiatives, struggles, etc. of that company. They are not putting in 70 hour weeks worrying about your little company. It’s nothing personal, it’s just business. 4. Get them to know you. If your business depends on company X, you’d better be building as many personal relationships as you can with the people in charge of that company. If Dan Savage had been able to call up his friend on Google’s Board of Directors and said, “You’re company is putting me out of business! Help!” do you really think this would have played out this way? It’s no guarantee, but companies are made of people and even in the brave new online world, sometimes who you know can make a huge difference. 5. It’s the ant’s responsibility not to get crushed by the elephant. Why? 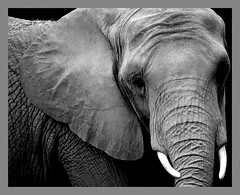 Because the elephant matters a hell of a lot more to the ant than the other way around. That means you need to be totally on top of every scrap of info you can gleam about where that company is going and whether you might be in the way. Please be clear: many microISVs succeed quite well in the shadow of any number of elephants – and the same is even more true of online apps depending on the good will and APIs of others to create value. Just don’t let yourself forget what the reality is here. Nice article, Bob. Totally agree on this. To see more of Dan Savage’s point of view, check out this highly informative YouTube video I have discovered of him. It’s really cool!